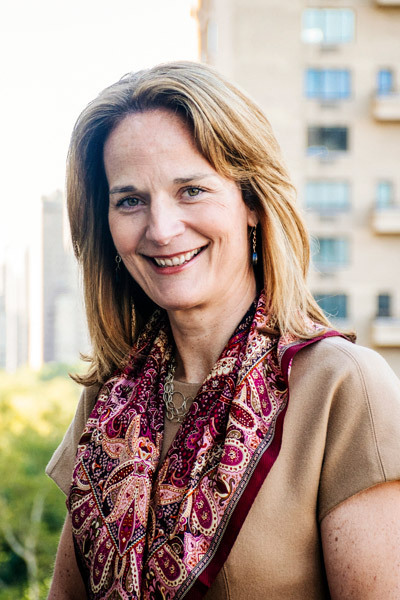 Laura Cushing joined Loews Corp.—one of the largest diversified companies in the United States with businesses in the insurance, energy, hospitality, and packaging industries—as its chief human resources officer in 2016 after spending more than two decades rising in the ranks at JPMorgan Chase. One of the most important lessons she’s learned in that time is that her career path is ancient history—and so is the way business leaders need to do their jobs. The workforce in the United States now includes people from five generations. At one end, young go-getters want to leverage their talent immediately, not wait years for a promotion. And at the other, there are seasoned veterans who have more that they want to offer. It also means these managers and leaders must change their approaches to enduring human resources initiatives. Workplace diversity is one example. A lot of focus has been placed on diversity and inclusion education and awareness, but Cushing says that’s still not enough. Career-pathing, along with learning and development, are other areas ripe for a paradigm shift. Again, traditional paths to success don’t apply to younger generations of workers, who tend to prefer jumping from one opportunity to the next versus spending an entire career with one or two employers. “We need to ask ourselves, ‘How do we create a path that’s not done in a traditional way so we continue to attract and retain the best talent?’ Career-pathing will not be about getting to a certain level. Rather, people want to build skills and competencies through projects, assignments, and tours of duty,” Cushing says. In Cushing’s opinion, companies need to be more willing to bet on people’s skills. For example, leaders will need to be identified earlier in their career and given increased levels of responsibility at a faster pace. This gives an organization a chance to test people’s capabilities while increasing the likelihood of retaining key talent. “On the other end, there is a role for the population between the ages of sixty and late seventies, which can be valuable to the employee and the employer,” Cushing says. Going forward, managing human capital will be about identifying key people—no matter what generation they’re from—and leveraging their skills the right away. HR professionals are aware of this evolution, however, managing and leading the change will be the challenge. Cushing says that HR will need to play a major role in helping employees and organizations adapt and embrace these technological changes. The real risk with cloud computing isn’t security, according to Cushing, but a failure to respond to the movement fast enough to train and hire the necessary talent. Fortunately, she is already ahead of the curve in that respect. It won’t be easy, but Cushing understands that businesses really have no choice. They have to adapt, and it’s up to her and other HR executives to show them how. Korn Ferry Hay Group values our relationship and strong partnership with Loews Corporation. We have worked with them over the years in the areas of executive search, leadership development, executive pay and governance, broad-based reward and organizational design. Korn Ferry is the preeminent global people and organizational advisory firm.